Aquaman did it! It’s the first DC Extended Universe film to reach $1 billion. Even though Aquaman was bumped to the second spot over the weekend by The Upside starring Kevin Hart domestically, it’s still making Warner Bros. a lot of money. The film has made $1.02 billion worldwide so far, and it’s currently at the second spot behind The Dark Knight Rises for top DC films. It did surpass The Dark Knight’s $1.004 billion. It’s not really surprising that Aquaman would make a billion dollars, with many predicting the results before the weekend numbers. It’ll most likely beat out The Dark Knight Rises’ box office numbers soon, making it the #1 DCEU and DC film of all time at the box office. Warner Bros. and James Wan should definitely be happy about this. As for superhero movies, it’s sitting at the ninth spot for worldwide box office numbers, with movies like Avengers: Infinity War, Marvel’s The Avengers, Avengers: Age of Ultron, Black Panther, The Incredibles 2, Iron Man 3, Captain America: Civil War, and The Dark Knight Rises taking the top spots. Marvel is still king when it comes to box office successes, but with Aquaman performing this well, maybe DC will be more confident in branching out to lesser known characters. Remember a time when companies were afraid to do superhero films? Well, it’s a good thing those times are gone, because now we’re bombarded with superhero movies. 2019 is bringing us new films like Captain Marvel, Shazam!, Avengers: Endgame, and Spider-Man: Far From Home. Warner Bros. is definitely going to make Aquaman 2 happen, but will James Wan return? 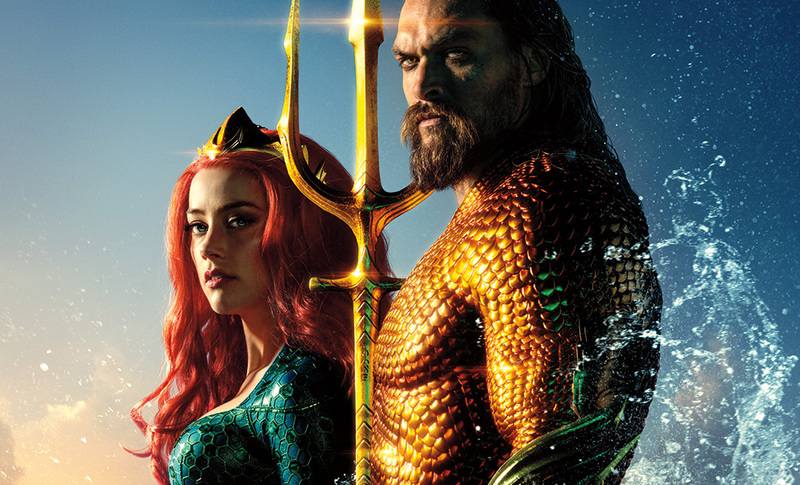 Aquaman synopsis: Once home to the most advanced civilization on Earth, the city of Atlantis is now an underwater kingdom ruled by the power-hungry King Orm. With a vast army at his disposal, Orm plans to conquer the remaining oceanic people — and then the surface world. Standing in his way is Aquaman, Orm’s half-human, half-Atlantean brother and true heir to the throne. With help from royal counselor Vulko, Aquaman must retrieve the legendary Trident of Atlan and embrace his destiny as protector of the deep. The post Aquaman is the first DCEU film to make $1 billion appeared first on Nerd Reactor.